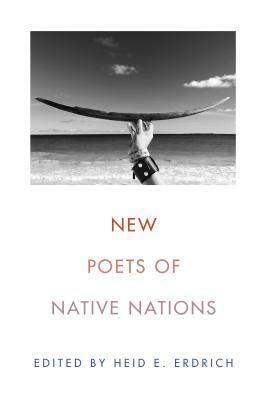 New Poets of Native Nations gathers poets of diverse ages, styles, languages, and tribal affiliations to present the extraordinary range and power of new Native poetry. Heid E. Erdrich has selected twenty-one poets whose first books were published after the year 2000 to highlight the exciting works coming up after Joy Harjo and Sherman Alexie. Collected here are poems of great breadth—long narratives, political outcries, experimental works, and traditional lyrics—and the result is an essential anthology of some of the best poets writing now. Poets included are Tacey M. Atsitty, Trevino L. Brings Plenty, Julian Talamantez Brolaski, Laura Da’, Natalie Diaz, Jennifer Elise Foerster, Eric Gansworth, Gordon Henry, Jr., Sy Hoahwah, LeAnne Howe, Layli Long Soldier, Janet McAdams, Brandy Nalani McDougall, Margaret Noodin, dg okpik, Craig Santos Perez, Tommy Pico, Cedar Sigo, M. L. Smoker, Gwen Westerman, and Karenne Wood. Heid E. Erdrich is the author of five collections of poetry, including Curator of Ephemera at the New Museum for Archaic Media. She is Ojibwe enrolled at Turtle Mountain, and lives and teaches in Minneapolis.